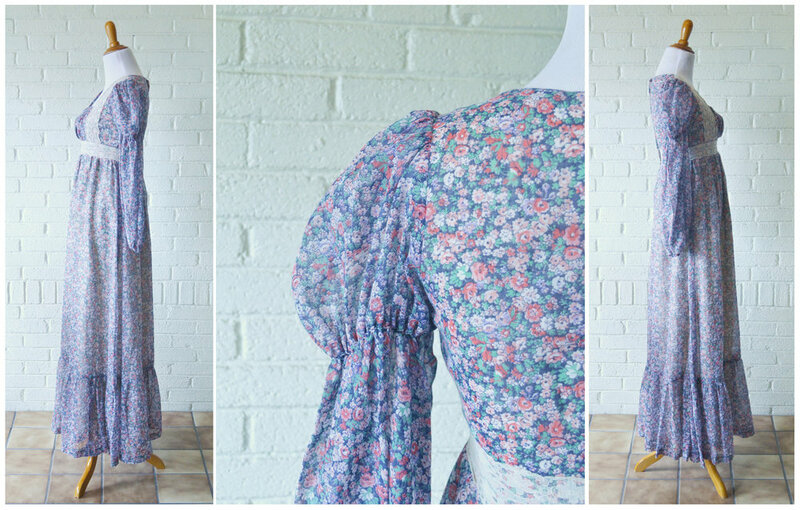 A rare find, this late 1960s early Gunne Sax Peasant Dress with Juliet Sleeves is a true blue (and persimmon and rose . . . ) gem. Please scroll down to see images of the 1960s Gunne Sax Peasant Dress with Juliet Sleeves modeled and in greater detail. Colors: Navy background with floral print in rose, cream, persimmon, lavender, and sage. Closure: Single back metal zipper with a metal hook and fabric eye. Label: Gunne Sax by Jessica San Francisco. 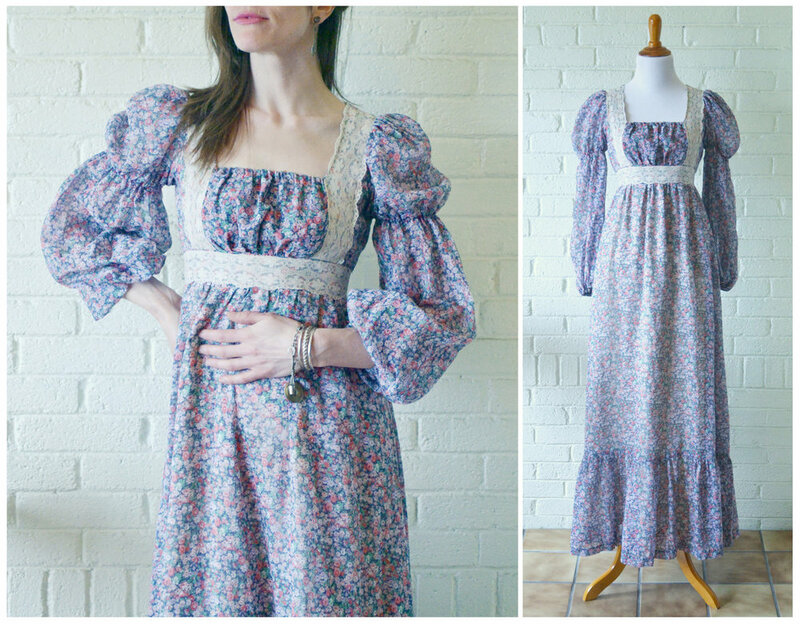 The Gunne Sax tag has a small tear. Please see the photo below for more detail. There is a small patch on the front that seems to be ever-so-slightly lighter than the rest of the dress. It's not too noticeable, but please take a look at the multiple pictures below for more detail. This darling dress is narrow in the natural waist and shoulders, ideal for a tall, slender frame. The model is a modern size 4 and 5' 5.5" (but wearing 3" heels).